I've been on a Broccoli kick lately and this is another one of my favorite weeknight meals. Quick and easy and delicious! In a large skillet stir together milk and cream cheese and bring to a light boil over medium heat. Add in the salt and garlic powder and stir for 5 minutes, or until thick and bubbly. Slowly whisk in half of the cheese. 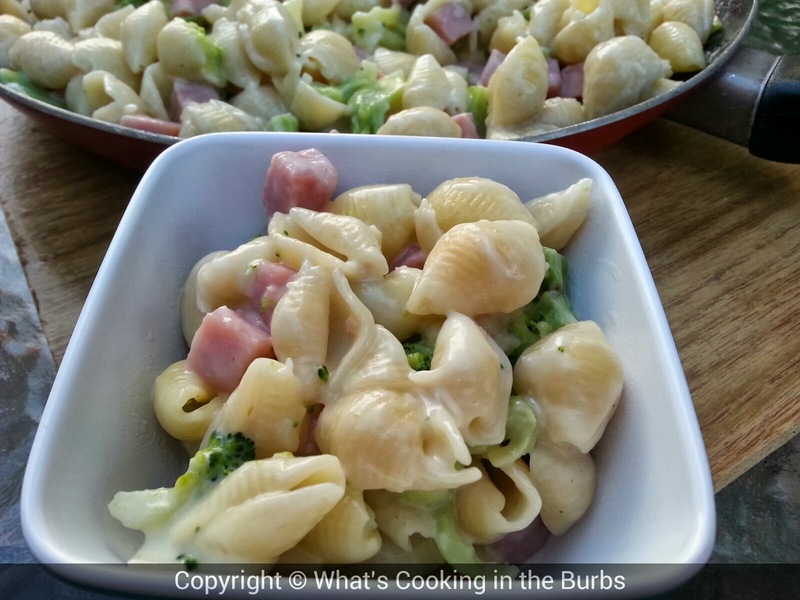 Once melted, stir in the cooked pasta, ham, and broccoli. Add remaining cheese, cover and turn heat to low. Cook for another 5 minutes or until cheese is melted. Enjoy! What a super yummy simple meal. Thanks for sharing at Simple Supper Tuesday!